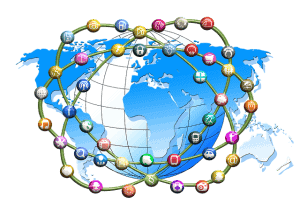 / What Makes the Business Networks Great? What Makes Business Networks Great? 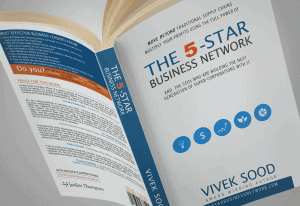 Extract from the book “The 5-Star Business Network”, written by Vivek Sood In 2012, when Facebook’s IPO was being discussed in the media, a range of valuations was put forward by the experts between approximately $50 and more than $100 Billion. Most people in traditional businesses were stunned and asked how could a company with no products, no factories, no customers and no suppliers, be valued more than Siemens, Nokia, US Steel, or even a combination of these traditional, well respected companies. The pundits declared the basis of valuation as the Network Effect and left it at that – leaving people to decipher what exactly the Network Effect is and exactly how does it lead to a valuation of tens of billions of dollars. Networks, of course, can be homogeneous groups of similar people, such as net-savvy, with spare time and willingness to share their lives’ details with others on Facebook (or similar social websites), or they can be heterogeneous networks of a multitude of suppliers around the world that provide a vast range of components and parts, such as those that go into manufacturing the Airbus A380. Networks can even be a combination of homogeneous entities and heterogeneous groups, or vice versa. This point should emphasise in the readers’ minds that there is not one single kind of network, and hence the characteristics will vary accordingly. Needless to say, there is no point spending time on a social network website if you are the only person who ever visits it. In fact, if most of your friends are members of a rival social networking site, you would eventually find yourself there, or find yourself a web outcast. This leads to a catch-22. Most nightclub and restaurant owners are long familiar with the predicament – the more popular your establishment becomes, the more people want to get into it. However, the key predicament is always – how to start off the process. An excellent book “The Tipping Point”, by Malcolm Gladwell, discusses this phenomenon in great detail and attributes it to the three rules – getting the first movers (law of the few – the mavens, the connectors and the salesmen), the stickiness factor (simple ways to make things memorable) and the power of context (small factors in the environment and the relationships that create and sustain impetus). If you have not yet read the book , I highly recommend it. It is neither advisable, nor possible, to paraphrase the excellent content, and Gladwell’s writing style is extraordinarily eloquent. So, with every new addition to a network, it becomes a little bit more valuable. This continues to happen until the network reaches a tipping point, a point at which it suddenly becomes a lot more valuable. After this point, the network will generally race past all its rivals and become a de facto standard in its realm. Whether it is a question of which social network website to frequent, or which type of keyboard to use as a standard (the more popular QWERTY or the more efficient Dvorak style), or which type of cooling systems to use in the nuclear power plants (light water, heavy water or gas cooled) – the decision almost always rests on the network effect. Very great help to read this blog as a business relationship manager at Axis. I’m in the process of making effective business network and I’m reading a lot How can I achieve it in a right way. – reach out to leaders whom I like to meet and ask to just buy them coffee and get their suggestions. Offer some free time to help them with any projects they are doing. People are pretty receptive to that. – Try to find smaller events targeted for your specific industry, and just walk up to people and start conversations. Am I doing in the right way? Why you need to build the business network I mean what requires you to build up as you are the manager of Axis, I don’t think that you need to do the field work. Hey Lincoln, As Business relationship manager i have to maintain my business network upto the date for my own progress because sometimes rather than external clients the internal source which we are having that clients also help us a lot in getting progress, thus for that i need to make business network good of me. Yes, Lincoln, I agree with Gaurav he is correct with his statements as a business relationship manager, Gaurav needs to take care of his business network to maintain his goodwill in the loan and other financial processes. I appreciate Vivek to write such a great book. It’s really hard to write about anything when you are working on it. No, it is not at all very hard to write about the thing on which you are working on it because Vivek is a professional author and I don’t think so it is really hard for him. Owen, you can’t deny about what I said in my above comment because till now you have not been suffered from that stage or I should say you are not at the place of Mr. Sood’s it’s very difficult to understand a authors journey.